How Do We Restore the Constitution? Many Americans are frustrated by the continuing ability of an unelected, unaccountable, elitist body, the Supreme Court, to freely change the meaning of the Constitution. For over seven decades the Court has abetted a massive centralization of governmental power at the national level, contrary to any reasonable understanding of the original allocation of powers by the . . . → Read More: How Do We Restore the Constitution? Is an Article V Convention the Best Approach? Frustration on both the political left and right have led to calls for a new constitutional convention under Article V of the Constitution. 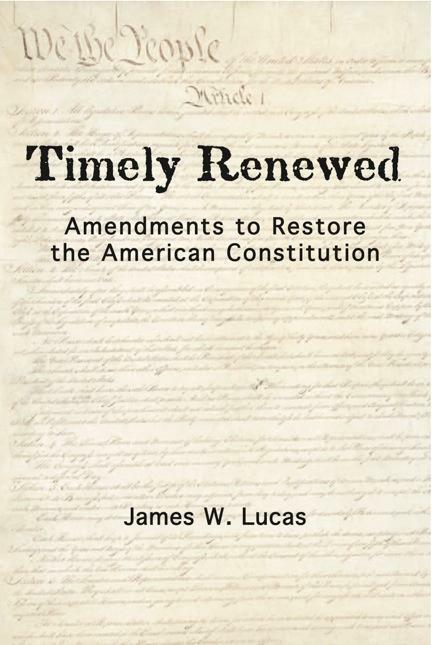 However, such a convention would likely be dominated by politicians and law professors, who would be unlikely to propose amendments restoring the original Constitution, or remain within the limits as to subject matter which the States might include in their convention applications. . . . → Read More: Is an Article V Convention the Best Approach? But Won’t Congress Block Amendments Restoring Federalism? The proposed reform of Article V provides another route to bypass a recalcitrant Congress. This is a national referendum if two-thirds but not three fourths of the states have approved an amendment. . . . → Read More: But Won’t Congress Block Amendments Restoring Federalism?